There are times when one small act can change the world. 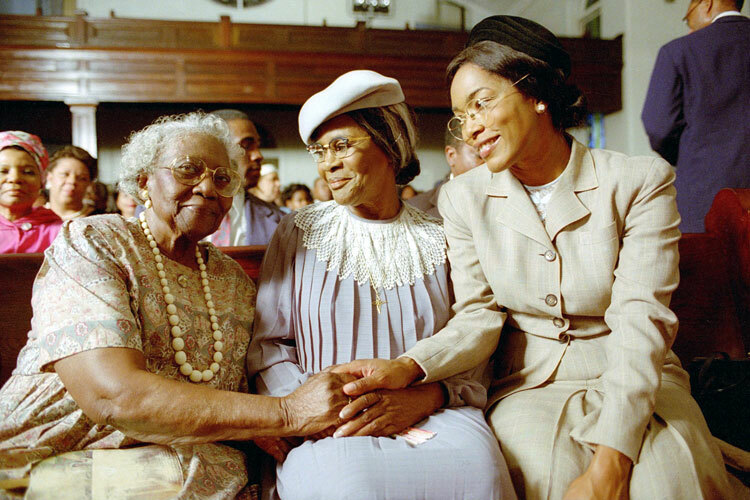 In The Rosa Parks Story, director Julie Dash chronicles the life and legacy of the “mother of the Civil Rights Movement.” The film premiered on the CBS network on Feb. 24, 2002. Relaying the social and cultural climate in Montgomery, AL, in 1965, the film juxtaposes the famous event of Parks’ refusal to relinquish her seat on a bus to a white patron with the lesser-known history of Parks’ personal background. With flashbacks into the history of a woman who has become a symbol of civil disobedience and human dignity, The Rosa Parks Story offers a glimpse into Parks’ childhood, upbringing and family life. Focusing on her relationships with her husband Raymond Parks and her mother, the weighted shadow of Rosa Parks as an American icon is lifted to reveal the person, principles, pleasures and pains of Parks as an individual human being. Reminding us that every historical figure has a human story, the film balances the history of the Civil Rights Movement—particularly the National Association for the Advancement of Colored People (NAACP) boycott of Montgomery buses—with a focus on the internal and external forces that shaped Parks’ belief in equality and human dignity. In this sense, the film does not shy away from mentioning the tales of racial injustice that haunt American history. In a story about challenging segregation and the events leading up to and after Dec. 1, 1955—when Parks was arrested for refusing to give up her seat—we are reminded that it was the audacious hope and courageous action of Rosa Parks that influenced local, and relatively unknown, religious leader Dr. Martin Luther King Jr. and changed the American cultural, social and political landscape forever.